After their first season in OBBA's Conference North, Bath City Bakery were in despair, they just could not cut it on the BloodBowl field. Talking to a wise old Elf the Master Bakers set upon a mystical journey to find the fabled natural springs of the founder of Bath, King Bladud himself. Bath City's first season in OBBA as Bath City Bakery. A harrowing season full of failure with 9 permanent casualties and a record of 1/1/5 in the Conference North coming in a disappointing 7th. Retirement after their first season saw Bath City take on a new form. Terrible 2nd season in OBBA (1st as Bath City Bladuds), although a great league cup run saw BCB lose 2-1 to Wycombe Wampires in the final. Regular season saw a record of 0/1/3, which was surprisingly enough to pull 4th and promotion from semi-professional non-league all the way to the heady heights of League 1! Bath City's 3rd season in OBBA had its ups and its downs. This all culminated in the last game of the season - a win would see them top the table, a loss - 4th place, unfortunately BCB lost that game 2-1. Next came the cup run, not too bad this year with a quarter final loss to eventual 2nd placed Wolverhampton Wonderdead. However all was not at a loss as 4th place saw BCB promoted to the Championship! 4th season in OBBA saw BCB fly high into the giddiness of the Championship, where they came an outstandingly middle of the road 6th, followed up by a poor performance where they failed to qualify for the OBBA Cup. Disappointed fans all round are talking about disbanding the team in favour of some undead 'uns. Although having stayed a fixture of the Championship this team is looking to strike hard and take no prisoners for the season ahead. Genuine Promotion! 4th place finish out of 8 sees Bath City rise to the OBBA Premiership in just their 6th season. Although 3/0/4 from their 7 games it was still enough to warrant a one season stay in the top flight. What will happen next season? Pundits are saying a 0/0/7 drubbing. 8th season in OBBA for Bath City (14th OBBA season overall). It... was... disastrous! The Bladuds played just 2 games out of 9 losing them both and finishing dead last (10th place in the newly extended Premiership) and absolutely no cup games played. No excuse would be big enough, quite simply BCB forgot to turn up to their matches. Next season the club bar will be closed on match days folks! "Not one bloody win!" chanted from the sidelines for all of OBBA to hear - BCB's fans are harsh but ultimately truthful. This was a bad season to top off the previous bad season. At the end of Season 14, BCB were relegated to the Championship because of technical difficulties, at the end of this season they were lucky they weren't disbanded in favour of a troupe of travelling frog jugglers. 0/1/4, 7 points and a 7th place (out of 8) finish. Pathetic Bath, just pathetic. A quarter final placement in the OBBA Cup saw BCB bouncing back and losing 1-0 to (eventual cup winners and hated local rivals) Bristol Reavers (also proud stealers of OBBA bios). 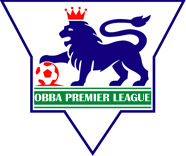 10th season in OBBA! Many other teams have fallen by the wayside but Bath City Bladuds have held firm! A milestone (and semi-successful) season! Exclamation mark! More exclamation marks!! Here's a semi-colon; how quaint. Mid table, 5th place (out of 8) finish for Bath City, totalling a mighty 9 points (2/0/4). This may not seem much to your average layperson, but a story is hidden here. A tale of a late winning surge and a last day of the season loss that had we won would have placed us 3rd and promoted us back up to the big league. However, BCB lost to another local rival. Relative newcomers to OBBA, Yeovil Casuals pipped the mighty Romans to the post with a close 2-1 win. Cup run ended against Burningham Goats in the quarter final courtesy of Mr. Grashnak Blackhoof, he's a nasty bugger! 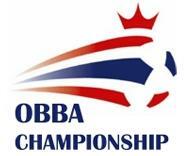 Reasonably successful season in the Championship. A 4th placed finish with a 4/0/3, in the past that may have been enough to secure a better place but 4/1/3 took 3rd. Terrible cup run. First round loss. Even more scary is that this was enough to guarantee a return to the premiership. Top flight baby! A bad start and a successful late run of results saw BCB finish 6th (out of 10) in the table with a record of 3/1/5. This was enough to keep Bath in the Premiership for a 2nd successive season. Dire cup run as usual, but achievements have been met this season. Season 19 saw BCB's best ever finish, 4th in the Premiership with a record of 3/1/4.